Spinach is a tricky vegetable to feed kids and sometimes adults too. 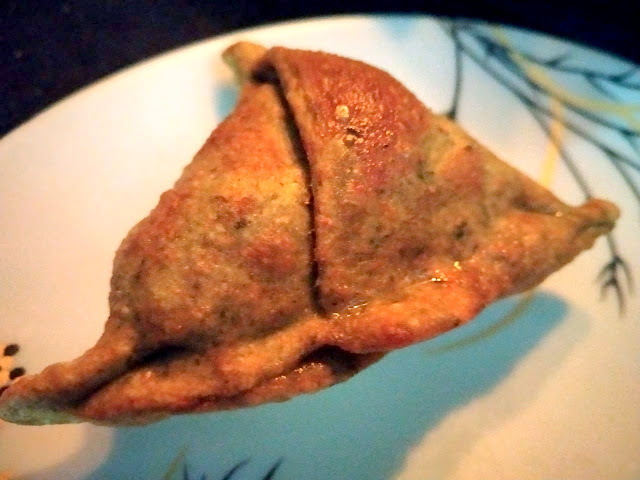 So, I have come out with a way to hide spinach in a popular snack item called Samosa. 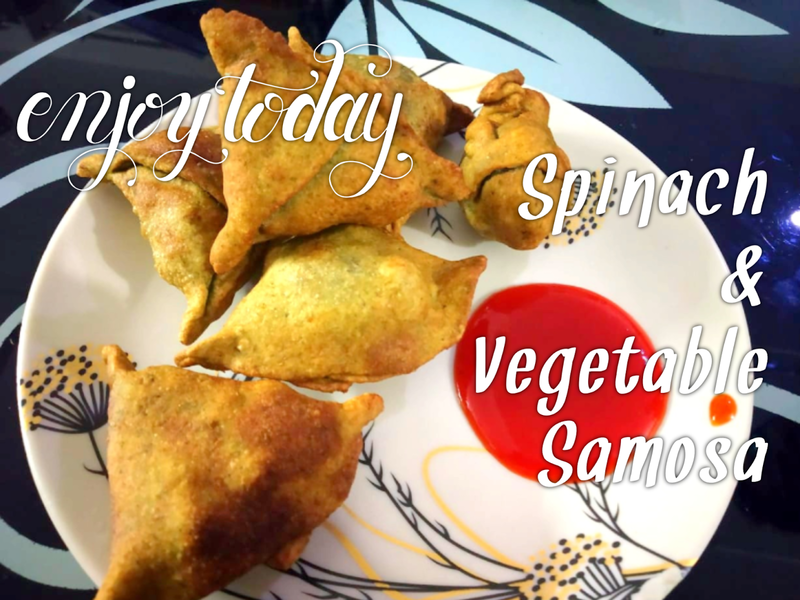 Pureeing spinach and kneading the dough with it and filling vegetables inside, will not only make you forget there is spinach but also make you eat a very healthy samosa. Blanch the washed and chopped spinach leaves for 2-3 minutes in boiling hot water. Allow it too cool for 5 minutes. In a mixer-grinder, make a puree of spinach, garlic, ginger, few green chillies and salt. Transfer the puree to a large mixing bowl and add the flour. Knead well for 5-7 minutes. Smear some oil all over the dough and let it rest for 15 minutes. For the stuffing, heat some oil in a pan. Temper zeera and finely chopped green chillies. Now add the diced potatoes, peas and chopped cauliflower. Cook till the potatoes soften. Sprinkle haldi, dhania powder and salt. Sauté for another 5-7 minutes. Switch off the heat and cool this vegetable mixture completely. For preparing Samosa, roll out the spinach dough and shape a cone. With the help of a spoon, add some vegetable filling. 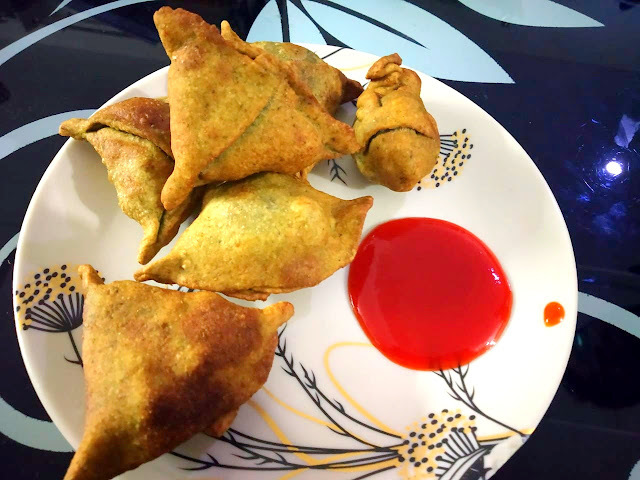 Now fry the samosas in hot oil. 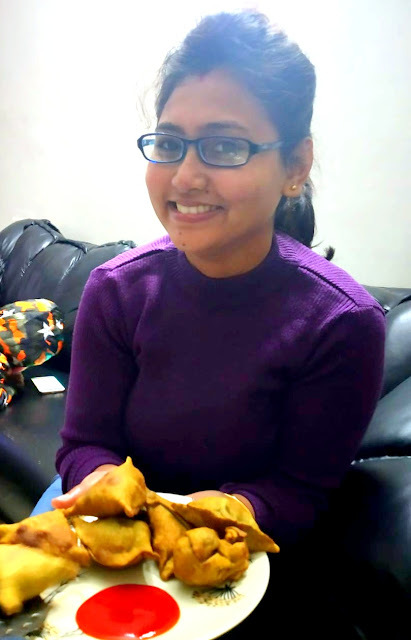 And, that's me with my Greenie Spinach and Vegetable Samosa.